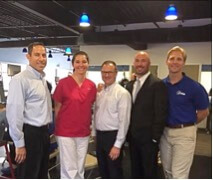 (L to R) Dr. Brad Gilden, Elite Health Services; Erika Wofsey, RN, Glenville Medical Concierge Care; Dr. Michael Menderbil, a local naturopath; Dr. Jeff Puglisi, Glenville Medical Concierge Care; and Stephen Kurczewski, Elite Health Services. 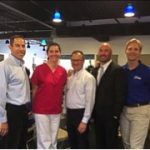 Dr. Jeff Puglisi offered “Lessons from the Heart” at Elite Health Services earlier this month, with a discussion of his approach to assessing, preventing and managing heart disease. 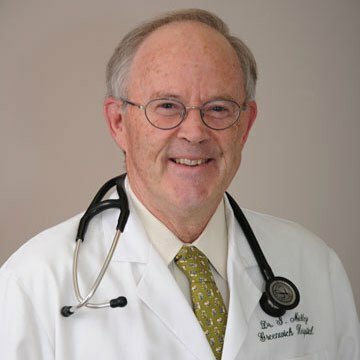 His effective strategy: advanced testing to understand an individual’s heart disease risk, with a follow up plan for adopting a heart-healthy lifestyle.